Only a deadlocked Congress could produce this unintentional miracle. 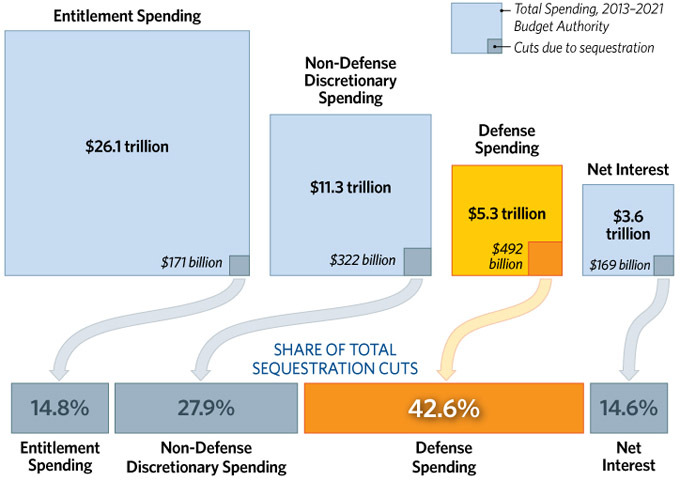 The military-defense budget has been a sacred cow. Proponents of Department of Defense budget cuts were tarred and feathered as weak on national security. Perhaps only ‘Sequestration” – this unthinkable package of defense and entitlement program cuts that neither major party thought tolerable – could make it happen. I can hear the applause from the angels and from President Dwight David Eisenhower, whose last words from the Oval Office warned that the rise of the Military-Industrial-Complex was the greatest threat to democracy, even while they weep over the indiscriminate human impacts of Sequestration. Somewhere over the rainbow….bluebirds…instead of drones…fly. Could it also be that sometimes God really does act in strange and mysterious ways…? My 90 year-old Grandmother kept a revolutionary war rifle under her bed in Rockport, Massachusetts. She wanted to be safe. When she showed it to me, I could barely drag it out from under the bed. How she would have gotten it out and lifted it to point at an intruder was a puzzle, but my Grandmother, like many of us, thought a gun would make her safe. My Grandmother’s revolutionary war rifle. Security, weapons, and freedom make strange bed-fellows. Guns will not produce security, and the freedom to buy and use the weapons of war equates pulling a trigger with free speech. In America the mixing of the right to bear arms, the search for security, and the sanctity of personal freedom without limits are the ingredients of a national security state…and a state of permanent anxiety. We are not safe in America. The six-year-olds and seven-year-olds of Sandy Hook were not safe. Their teachers were not safe. Their town was not safe. The five-year-old and the two-year-old in Minneapolis who found a pistol under the pillow in their parents’ bedroom were not safe. The two-year old is dead. The five-year-old and his parents will never be the same. Nor will the people of Baghdad, the U.S. Army base at Fort Hood or the folks killed at McDonald’s. We are not safe either at home under Homeland Security or in the places around the world where un-manned drones kill and maim not only those who threaten our safety but innocent children, under that banner of freedom, democracy, and national security. The U.S. Constitution is a work of genius and wisdom depending on how well it is interpreted by the Courts. The First Amendment the right to free speech. The Second Amendment protects the right to bear arms, a right originally intended to maintain the power of the people, collectively, to overthrow another King George or a government that did not serve the well-being of the American people. Among the “arms” protected by the Second Amendment there was no assault weapon able to shoot 100 times in 60 seconds and then reload or a pistol capable of 30 shots before reloading. What the framers of the Second Amendment had in mind was muskets. The Second Amendment never imagined the likes of the M-16 or its knock-offs or a semi-automatic pistol concealed in one’s purse or trousers. The weapons used against a mother and elementary school children in Newtown and against customers having a cup of coffee at a McDonald’s were the furthest thing from their time-bound imagination. There were no McDonald’s when the Second Amendment was adopted and there were no semi-automatic weapons sold at gun shows. Today, ABC News reports that, according to the 2011 statistics of the U.S. Bureau of Alcohol, Tobacco, Firearms and Explosives, there were 4.17 times as many federally-licensed retail gun dealers and pawn shops(58,794) than McDonald’s (14, 098) in the U.S – more death shops than places to eat a Big Mac. 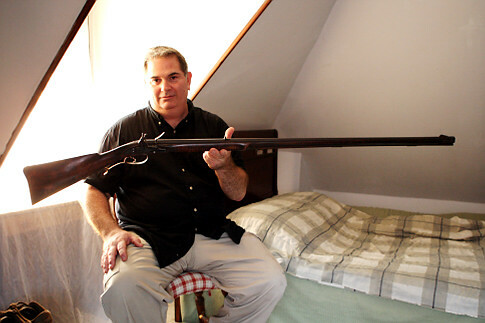 Strict Constitutionalists like U.S. Supreme Court Justice Antonin Scalia know full well that my grandmothers revolutionary war rifle was the “arms” the Second Amendment had in mind. Every citizen in America has the right to have a revolutionary war rifle – a single shot “load…; aim…; fire… re-load…; aim…; fire…” under the bed… or under the pillow in the parents’ bedroom. Freedom was never intended to produce a domestic or international killing field. If we Americans have learned anything from 9/11, Iraq, Afghanistan, Columbine, Red Lake, and Sandy Hook, it is that our security is not found in a gun or a drone in every home. Neither was the nation’s security license to monitor the phone calls, emails, texts, bank records, and personal movements of citizens. I exercise my right to free speech by writing and publishing words as the weapons of persuasion in hopes that they might contribute in some way to a national introspection and action that minimizes the human impulse toward violence and destruction. I have to believe that words are more powerful in the end than the Bushmaster .223 assault rifles and drones that kill at home and abroad – all in the name of keeping us alive and “safe”. According to strict judicial interpretation of the Second Amendment, everyone in America has a right to own a musket or, perhaps, pull a revolutionary war rifle from under the bed. Will we risk killing the hand that feeds us – the oceans and the order of nature – to insure homeland security? I’m not a groupie and I’m not a shouter. I’m tired of all the emails telling me that the sky will fall if I don’t do this or that…give $5.00 by midnight tonight or sign the petition. If I don’t act now, Darth Vader will win. Delete, Delete. Trash. But this morning’s email got my attention. It alerted me to a July 10 deadline for comment on a Navy testing program which, according to the Navy’s own research, will deafen 1,600 whales and dolphins and kill 1,800 more. The old Navy analysis – covering 2009-2013 – estimated the service might unintentionally cause injury or death to about 100 marine mammals in Hawaii and California, although no deaths have been reported. The Navy also expanded the scope of its study to include things like in-port sonar testing – something sailors have long done but wasn’t analyzed in the Navy’s last environmental impact statement. The analysis covers training and testing in waters between Hawaii and California for the first time as well. 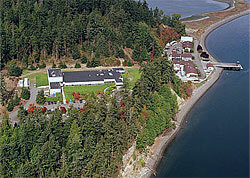 The request to comment took me back to the summer of 2010 when the house we rented for a week on a beautiful salt water lagoon on the coast of Sequim, Washington turned out to be next door to a highly classified U.S. Department of Energy marine research center.Ours was the last house on Washington Harbor Road which dead-ended 200 yards away at the place whose business was a mystery to everyone in town. No one seemed to know what was going on behind the fence. ”It’s top secret,” said the townspeople. No one I asked seemed to care. Our rental property was on the lagoon just around the corner on the other side of the sandbar in this photograph of the lab.I wondered then why a marine environmental research laboratory was under the Department of Energy rather than the Department of the Interior. I assumed it must have to do with the development of oceanic energy and sustainability, but wondered why such a facility would be under wraps as top-secret. I also wondered about the manager of the operation, Battelle. Clearly Battelle was one of vast network of private corporations under federal government contract, but what qualified it to manage this research center? What was Battelle? 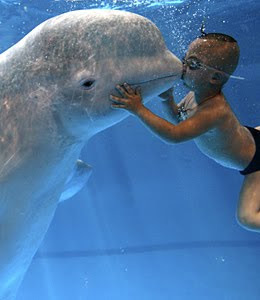 This morning’s email about the whales and dolphins piqued my interest again. The website for the Pacific Northwest National Laboratory says the following about our Sequim next door neighbor . The bolded print is mine. There is no way to know whether MLS was part of the Navy own environmental impact study. The Navy is under the Department of Defense. MSL is under the Department of Energy. But the third area of MSL’s “research operations” – “protecting coastal environments from security threats” – and the use of the word “operations” make it a natural fit for such research. The recent addition of national and homeland security as a third focus of MSL’s research operations increases the likelihood of its being a player in this debate. Its three areas of emerging leadership lead me to imagine how vigorous the debate would be among the staff behind the fence next door at the end of Washington Harbor Road. Presumably those who work at a marine sciences lab are oceanographers who stake their lives on protecting Earth’s greatest treasure. Introduce national and homeland security – i.e., national defense operations – and one can imagine how hot the debates would be among the scientists weighing the respective mandates to protect the American coast (the Navy program) and to “mitigate long-term impacts of human activities, including climate change, on marine resources” (high decibel sonar signals and explosions that render whales and dolphins deaf, disoriented, dead). The National Resources Defense Council (NRDC), a leader in the battle to regulate sonar use and protect marine life, reminds us that whales and other marine mammals rely on their hearing to find food, find a mate, and navigate their ocean habitat. 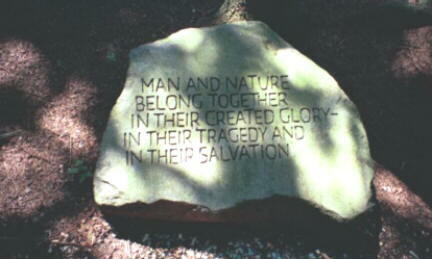 “Man and nature belong together in their created glory, in their tragedy and in their salvation.” These words of theologian Paul Tillich greet visitors along the path of Tillich Park in New Harmony, Indiana where Tillich’s ashes are buried. 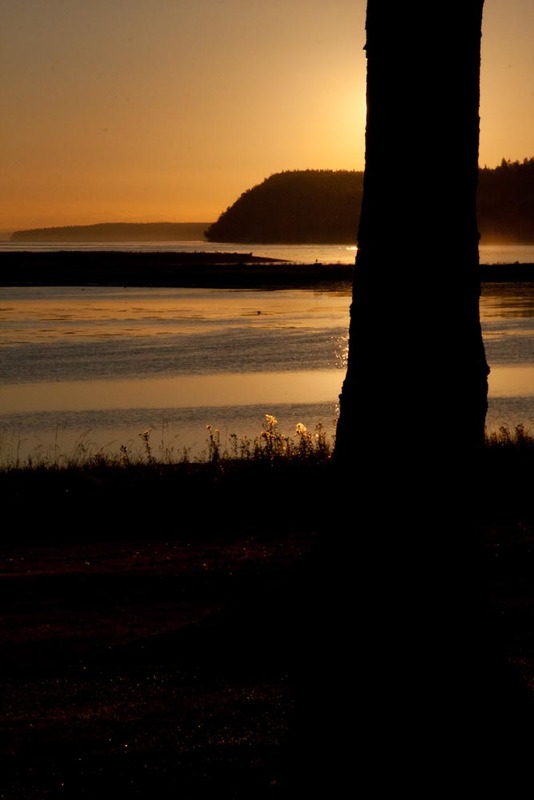 Tillich loved the ocean. It became for him, as it is for me, a symbol for God. The human attempt to conquer nature would not end in human glorification or to salvation. To the contrary, human arrogance regarding nature portended great tragedy. A nation that defines its security in ways that kill the whales and the dolphins invites such a great tragedy, biting the hand that feeds us – the ocean on which the planetary “homeland” of every nation depends. Minnestota Public Radio (MPR, 91.1 FM) published this commentary after a Florida pastor threatened to burn the Quran. Some things don’t seem to change. Everyone from time to time feels insignificant. As I did, while watching fires burn across the world, lit by the words of one pastor in Florida. I felt like a spectator in the stands watching the game I care about go terribly wrong, a hostage of verbal terrorism uttered in the name of Christ. I would imagine that the Rev. Terry Jones and his small congregation also had felt insignificant before they announced the 9/11 Quran burning, and that they were stunned when their pastor’s voice, although terribly misguided, lit the forest on fire without ever burning a Quran. One of their own, one who had felt insignificant, had raised his voice and now had the ear of a commanding general, the secretary of defense and the president of the United States. The difference between the Rev. Jones and most people is that he has a pulpit. On any given Sunday he speaks and a few people actually listen. Most of us do our ranting and raving in the shower, at the water cooler or with like-minded people at the coffee shop, but we don’t much expect anyone to listen. But as the Jones story developed, those of us with pulpits were feeling no less beside the point. Then, as I prepared for worship, I was drawn by some old lines about spiritual arson. “Consider what a great forest is set on fire by a small spark. The tongue is a fire … a restless evil, full of deadly poison” and “the seeds of righteousness are sown in peace by those who make peace” (Letter of James 3). The thought crossed my mind: We could invite a Muslim friend to join me in the pulpit, perhaps my neighbor Muhammad or Abdi or one of their children, whom I meet daily while walking the dogs. I decided to invite Ghafar Lakanwal, a Pashtun Afghan-American cultural diversity trainer, a Muslim and naturalized U.S. citizen, to bring greetings of peace and share some passages about peacemaking from the Quran in our Sunday worship on 9/12. “Ah!” someone will say. How can any Christian rejoice when the author uses the name “Allah” for God? But the reaction to the “name” is misbegotten. It is not the name of God; it’s the Arabic word for what we in English call God. The forest fire lit in defense of “God” in advance of the anniversary of 9/11 reminds us that two kinds of religion potentially exist everywhere people gather to practice their faith. One kind burns. The other kind learns. One hates; the other loves. As James, writing to those who would follow Jesus, put it: “With [the tongue] we bless the Lord and Father, and with it we curse those who are made in the likeness of God. From the same mouth come blessing and cursing. My brothers and sisters, this ought not to be so” (James 3:9-10). We can set the forest ablaze with our small spark or we can use it to light a candle of hope and peace. But, after the events of this month, none of us can again think that what we say is insignificant.